The Cross Lenormand spread is widely used as a simple divination instrument for understanding the implications of the thought-action-consequence process. It indicates the current direction in which your life is headed and reveals what actions have led to this. Five cards are used for this fortune telling method, usually put in the form of a cross. Each card represents your distant and recent past, your present state, and the immediate and distant future - in that order. Our free Cross Lenormand spread will help you identify important influences regarding the final outcome of an emerging or current situation. 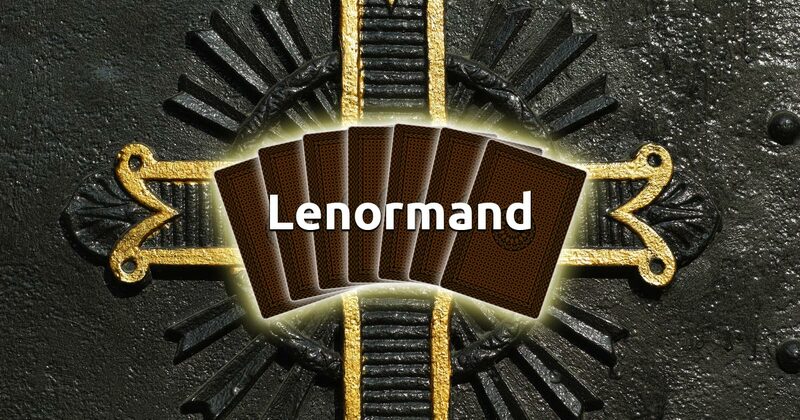 Focus on what bothers you the most at this moment and select 5 cards to begin your free Lenormand reading.